Tie a cream + black polka dot silk scarf around your ponytail to elevate a simple black sweater + jeans. 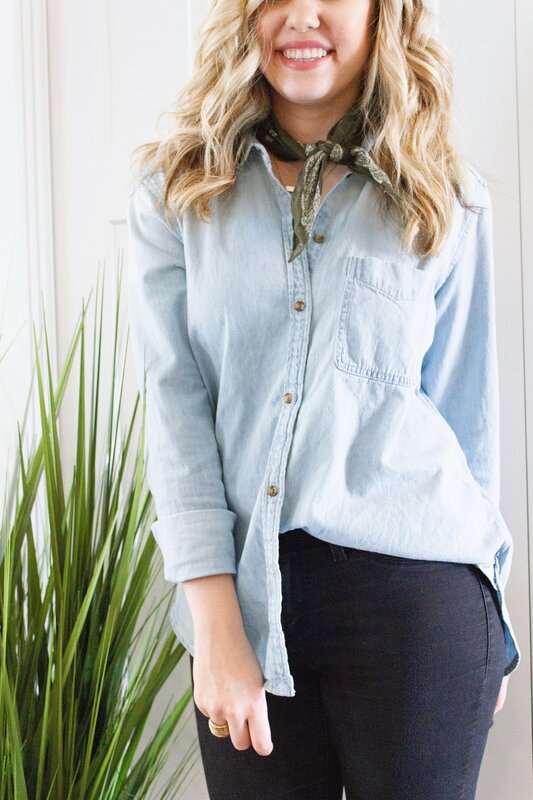 Or bring a western vibe to your denim chambray by tying a bandana scarf around your neck. 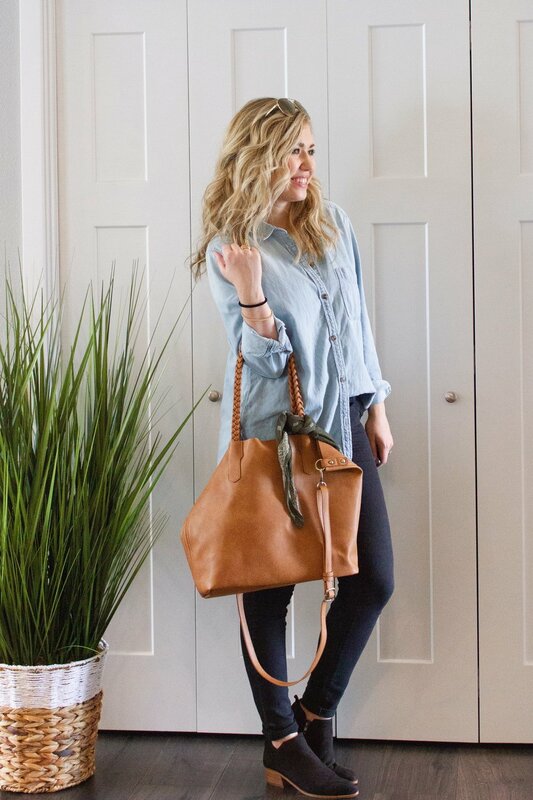 Or keep it simple + toss an olive scarf on your purse! The options are endless + the rich fall colors available this season will add a little something extra to your fall wardrobe. I’m sharing 3 ways to wear a bandana scarf for fall, all styled with the same outfit to show you how versatile this little accessory can be. TIP: Pick a scarf color that contrasts with your hair color — like a dark olive scarf for light blonde hair or a mustard yellow scarf for dark brown hair. This will create contrast, making the accessory pop and complimenting your natural complexion. HOW TO: Throw a scarf around the handle + let it hang longer on one side + dip your toe into the bandana scarf trend! HOW TO: Throw your hair in a topknot + add a scarf + no one will know you haven’t washed your hair in a week! TIP: Tie the scarf nice and loose around your topknot. 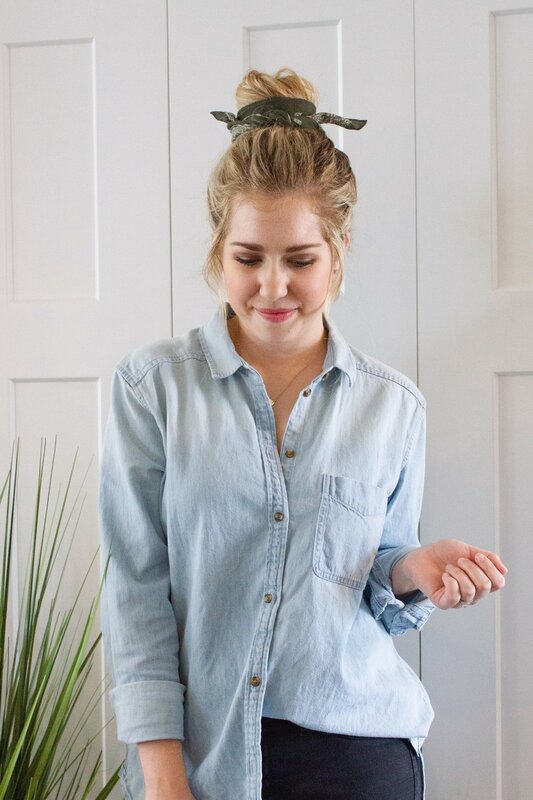 If you tie it too tight, it’ll squish the topknot into a funny shape and loose all the volume. HOW TO: Add a western vibe + tie a scarf around your neck off to one side + have fun with it! I hope these 3 ways to add bandana scarf to your outfit inspire your style + bring more joy to your everyday outfits! 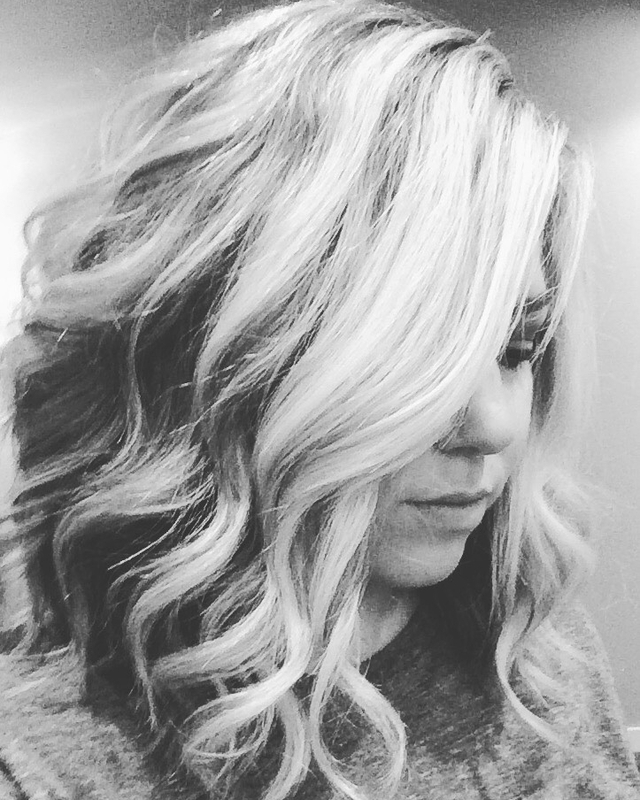 I would love to see how you style it, come share with me over on Instagram @adrianna.bohrer! If you loved these style + lifestyle tips, use the social media buttons below + share away!